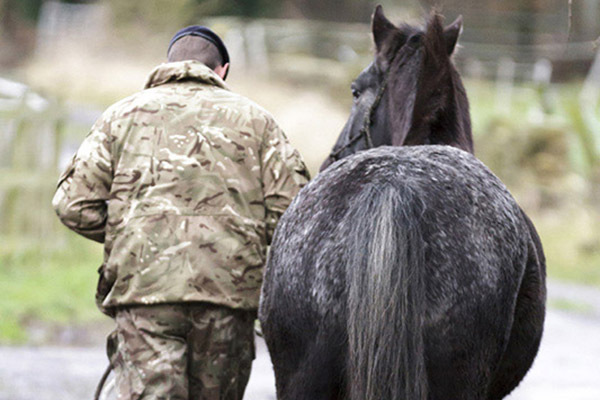 Two Ash Stables provides Equine Assisted Psychotherapy (EAP) for active military, reserves, veterans and their families. The EAP approach of outside and doing, not inside and talking, uniquely mirrors the military lifestyle. Our facilitation team for these sessions are Jonathan Browne and Alexandra Graves. 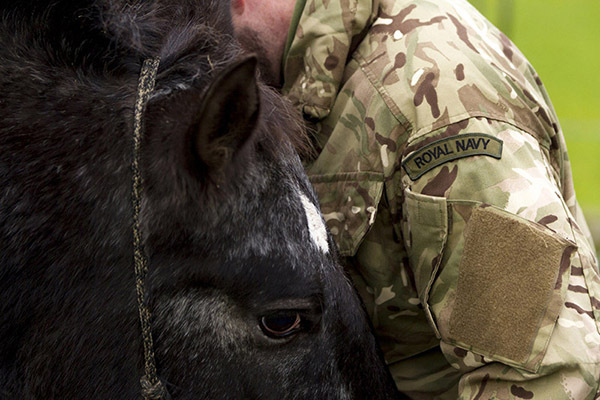 Jonathan is a serving Petty Officer (PO) in the Royal Navy Reserves. As his wife, Alexandra has experienced first hand the emotional and practical realities of mobilisations and military culture. She has worked both long and short term with veterans in her psychotherapy practise.